The First Lady had a simple answer when ABC News asked about the negative response some critics had to her decision to wear a non-American designer to the state dinner in January: "Wear what you love." "Look, women, wear what you love. That's all I can say. That's my motto. I wear what I like because ... I gotta be in the dress, so," she said, adding that it was a much better use of her time for her to focus on childhood health and rallying support for military families. The response rather deftly side-stepped the question of whether or not a First Lady is obligated to support the American fashion industry by wearing American-designed clothing to official functions. 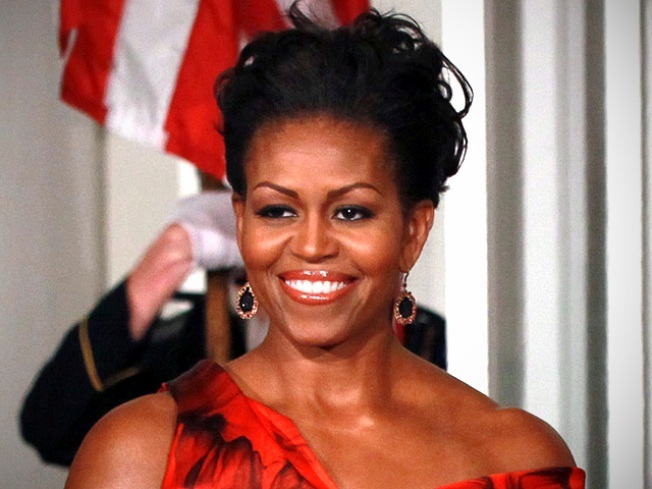 While critics have come out against (Oscar de la Renta, the CFDA) and in support of (Cathy Horyn, Kate Betts) the First Lady's McQueen choice, Mrs. Obama made a valiant effort to try to re-center the conversation on her more official projects.